What Are The Best Commercial Yogurt Makers? Consuming yogurt on daily bases can be very beneficial for your digestive system. The reason behind this is that the yogurt contains good bacteria which can have positive effect on your entire body. Since we have concluded that yogurt is good for your health, we now have to identify which yogurt is the best. The answer to this is very simple. The best yogurt is the one you either make at home or buy freshly made, because you will clearly know which ingredients you have used. In order to be able to make fresh yogurt in the comfort of your home, or indeed to serve it to the public, you will need to have a yogurt maker. There are plenty of yogurt makers that can turn the process of making yogurt into a real pleasure. We present you two we believe are among the best commercial yogurt makers, meaning they are reliable, have a good capacity so can make enough to serve customers or use for a restaurant for example, and at home. Cuisinart CYM-100 Electronic Yogurt Maker is a practical appliance which will make sure you always have delicious yogurt waiting for you in the refrigerator. This yogurt maker is made of stainless steel and it is relatively small so it can be easily stored when not in use and fits perfectly in commercial kitchens. The maker is very simple to use even for those who don’t have much experience in making yogurt. It has a button to start/stop the process. The time control gives you the opportunity to choose the appropriate time required for fermentation. All you need to do is put the ingredients inside the yogurt container, cover it with the lid and place it into the housing. Close the housing and set the timer. Press the start button and your work is done. Once the maker finishes the process of fermentation, the maker will continue cooling the yogurt until you turn it off. 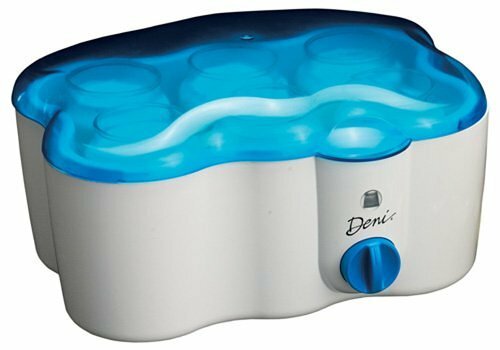 Deni 5600 1-Quart Electric Yogurt Maker is another great way to make yogurt. This is another small and practical yogurt maker that can help you produce yogurt in the comfort of your home in just a few hours. It comes with 6 glass jars covered by a see through lid. It can make up to 2 quarts of yogurt in one process. The process is as it follows: you put the ingredients into the glass jars and you close them, then you put them in the maker and you close the maker. You should turn on the maker and set the timer. It usually takes from 6 to 12 hours for the yogurt to be ready. Once it is ready you will hear a signal from the maker and it means that the yogurt is ready. All six jars can be washed in the dishwasher so you don’t have to worry about leaving the kitchen in mess once everything is done. These makers are a convenient way to prepare fresh yogurt that will satisfy the daily needs of your body and will help you stay in good shape. The produce large quantities of yogurt at the same time to satisfy all those yogurt-lovers you have around the house. You are a step away from having fresh yogurt at all times. This entry was posted in Cuisinart, Deni and tagged Commercial, Cusinart, Deni. What is the Best Thermometer for Yogurt Making? Yogurt is something that may well be a big part of your daily routine. Researches have shown that yogurt contains bacteria which is beneficial for your entire body. It helps the digestive system and maintains your body, helping to keep you in good condition. Buying yogurt from the shop is the easiest thing to do. But you can never know whether it is fresh or not. If you buy a yogurt which was not produced according the agreed standards than it will cause more harm than good. The only way you can know that the yogurt is good is if you make it yourself. Don’t be afraid, it is easier than it seems. You can use a yogurt maker and get good quality product in a matter of hours. The more sophisticated yogurt makers come with all the bells and whistles. However, they cost more. If you have a limited budget then you can decide to buy a simple maker, or you can even do it without. Making yogurt is all about controlling the temperature. So basically all you need is to have a good thermometer that will allow you to check the temperature and know whether to increase or decrease the heat. Once you prepare the ingredients you plan on using take your thermometer. There are a number of thermometers available on the market. One of them is Yogourmet Yogurt Making Thermometer. 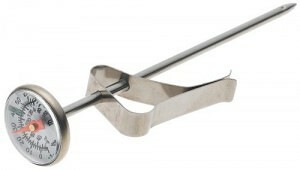 It is made of stainless steel and it is very easy to use. It has a handy clip attachment so you won’t have to hold it or be afraid you will lose it in the container. The temperature ranges between -10deg.C to 100deg.C or 25deg.F to 200deg.F. Make sure you don’t submerge it into liquid, as the moisture can enter in the inside of the thermometer. However even if it does after it dries it will be as good as new. The dial is relatively big and the numbers can be easily seen. Another option is to use a digital thermometer. PBKay thermometer is made of stainless steel and it can be used to check temperature varying between -58 and 572 degrees Fahrenheit (or -50 to 300 degrees Celsius). All you need to do is to put the tip of the thermometer into the yogurt and look at the digital screen. Don’t worry if you submerged it into water as it is water resistant. The display turns off automatically and extends the life of the batteries. Both thermometers will do the given task which is to measure the temperature of your yogurt. They are very small, so you won’t even notice them in the kitchen. After each use make sure to clean them well but don’t submerge the entire thermometer in water if you are using the analog one. They are similarly priced and are very affordable. Regardless of your choice you will be able to make delicious yogurt and satisfy the daily need of nutrients and good bacteria for your body. Once you taste a homemade yogurt it will instantly become your favourite food! This entry was posted in Yogourmet, Yogurt Making and tagged thermometer, Yogourmet. We are lucky enough to live in an age where there are many helpful devices that allow us to prepare healthy meals in a very short period of time. One thing that many people find themselves consuming every day is yogurt. Researches have shown that consuming yogurt on regular bases can improve the general condition of your body, as yogurt contains good bacteria that will help your digestive system. The benefits of this versatile ingredient are huge, and homemade yogurt is the best way to go. Luckily there are a number of good yogurt makers that allow you to make your favourite food in the comfort of your home. Tribest Yolife YL-210 is a very practical yogurt maker that enables you to mix and match different recipes until you get your favourite flavor. The maker consists of main body, standard cover and tall cover. It comes with seven jars so you can make different yogurt flavors and varieties at the same time and have individual servings ready to go. However, if you want to stick to one flavor and you need a bigger quantity then you can use your own glass container and cover it with the higher lid that comes included. The maker has a time indicator that will inform you once your yogurt is ready. The time needed for preparation of the yogurt will depend on the recipe you use. The usual time is between 8 and 12 hours. Make sure to use the yogurt immediately after you make it, as the maker doesn’t have a cooling mechanism, so if you forget about the yogurt it might not taste that good after a while. If you are planning on eating it later, just put in the refrigerator and it will be good whenever you decide to eat it. The best part about this yogurt maker is that you can be sure that the yogurt is fresh and you will know exactly which ingredients you have used. When buying a yogurt form the shop you can never know how long it was sitting on the shelf before you came and bought it. If you prepare the yogurt by yourself you can be sure of its quality. The price is very affordable and it will help you save money, as you won’t have to buy yogurt from the shop anymore. You can make the exact quantity you need and you won’t have to throw away some food. Hopefully this article has been helpful. It has given you a brief overview of the design and functionalities of Tribest Yolife YL-210 yogurt maker and a little hint on how to use it. You have noticed that it is a very simple device and you don’t need to be a chef or have any cooking experience whatsoever to be able to make yogurt. All you need is the desire to learn and the courage to experiment with different tastes. Once you try your homemade yogurt you will never think of buying one again! This entry was posted in Yogurt Making and tagged Glass Jars, Tribest, Yolife. Many companies have produced yogurt makers with the intention of making your life easier. They differ in their method of work, design, price but they all have one thing in common. These yogurt makers will help you make fresh yogurt in the comfort of your home and save money. Choosing the right maker can be a challenge especially if you are not quite sure what the market has to offer. Your decision must be based on your individual needs. If you are one of those people who like to experiment and mix and match different flavours at the same time or just make individual servings which are easy to take in lunch boxes or just grab from the fridge, then you are looking into choosing a yogurt maker that consists of glass jars. We will present you two makers that work on that principle and maybe one of them will be right for you. 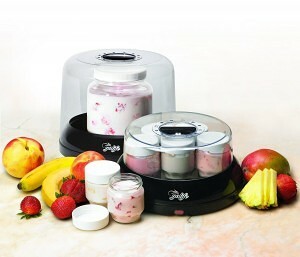 First is the Automatic Digital Yogurt Maker by Euro Cuisine. It can make up to seven 6-oz servings at the same time. The main advantage of this type of makers is that you are able to make different flavours at the same time which can save you a lot of time if you want to try new things. The principle of work is very simple. First you have to fill in the jars with the ingredients you plan to use. Then you should place them inside the maker. There is a button to start the process and a LED digital timer which lets you know when the yogurt is ready by making a sound. It also can automatically turn off. The time required for the yogurt to be ready depends on the recipe. The estimated time is from 6 to 10 hours. Once you finish using it, put the jars in the dishwasher and clean the base. That’s all you need to do for the maker to be ready for its next use. 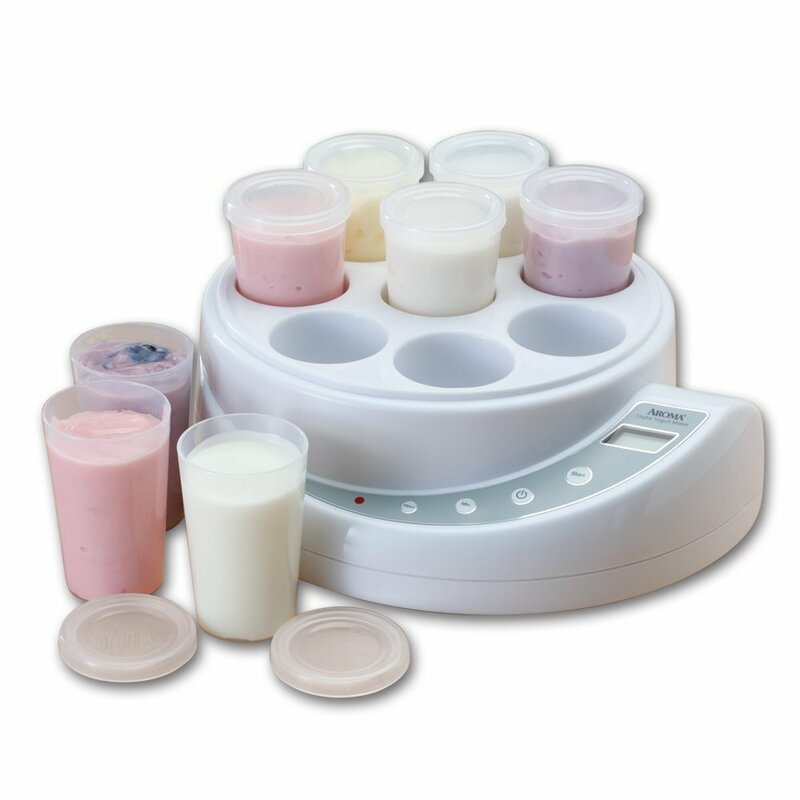 Aroma AYM-606 8-Cup Digital Yogurt Maker has a very appealing design. Although the method of work is same as with the previous makers, this one attracts more attention. It comes with eight plastic cups with a lid and they are leak resistant. These cups are not for one use, they can be reused once they are washed. It is completely safe to wash them in the dishwasher. The interesting part of the maker is in fact the digital display. This display has several buttons that help you turn on/off the unit as well as to adjust the time of making. The display will show you when the yogurt will be ready to use. Once the time you have set passes, the maker automatically shuts off. However it is recommended that you remove the yogurt once the process is finished, as it the maker doesn’t have a cooling system to keep it cold. As you can see from the examples above, these makers are very user-friendly and can help you make the best yogurt you have ever tried. Due to the jar system, you can make a variety of flavours at the same time and have a different yogurt every single day. This entry was posted in Euro Cuisine and tagged Aroma, Euro Cuisine, Glass Jars, Yogurt Makers. If you live a busy life that finding time to cook a proper meal is something you only dream about, then you might appreciate getting a pressure cooker. But there are always safety concerns which is why many are reluctant to investing in one. However, with the Instant Pot IP-DUO60, those fears are unnecessary. The best part is it works really well and a quick search on the internet will reveal how much love it is getting – consumers are going nuts for it. The reason we’re featuring it here? You’ve guessed it, it is a yogurt maker as well as its other functions! There is no doubt that you expect to get your money’s worth from a machine this pricey. And in as far as build quality is concerned, there is no question that this is a machine built to last. It is made from stainless steel and there is some plastic here and there. Adding to that, it has an attractive design and is hard wearing. What makes the Instant Pot IP-DUO60 stand out is that it combines 7 functions in one hence being called 7 in 1. You can use it as a pressure cooker, slow cooker, rice cooker, saute, yogurt maker, steamer and warmer. Thankfully, it excels in all those functions. The yogurt is one of the strongest parts of the cooker, and provides excellent yogurt every time, meaning that it may make sense for you to purchase this instead of another yogurt maker, knowing it is useful for other things as well and can save you money on other appliances. Making it even better, it cooks really fast. If you are always busy to spend all the time in the kitchen, this is a good way of eating healthy meals without disturbing your life. 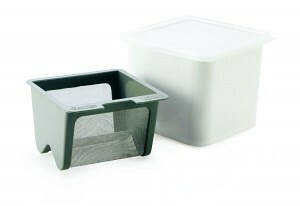 As long as you know how to use it properly, you can make delicious foods in this. And talking about that, it takes time to master using the Instant Pot IP-DUO60. But that is the case with all pressure cookers. Fortunately, there are a lot of videos and articles on the internet that will get you up to speed in no time. The Instant Pot IP-DUO60 can cook a range of foods like meat, vegetables etc. The cooking pot is made from stainless steel. This makes cleaning it easy. Adding to that, it is better than those paint-coated ones found in many pressure cookers. The Instant Pot IP-DUO60 has a lot of safety features eliminating the fear associated with these machines. As for cleaning, it is very easy. The pot is dishwasher safe, but you can as well use some soap. The rest of the unit can be cleaned with a wet cloth. Like said above, there is a lot of love for the Instant Pot IP-DUO60. Consumers say it makes cooking easy and that dishes turn out perfect all the time. Adding to this, it reduces the time spent in the kitchen. Some also applaud it for being safe to use, good looking and very reliable. 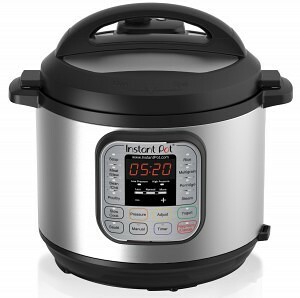 If you are looking for a pressure cooker, the Instant Pot IP-DUO60 is all you need. It comes with great features and at an acceptable price. With all that, it is not surprising that it is the one of the best selling pressure cookers. Highly recommended. This entry was posted in Yogurt Making and tagged Cooker, Instant Pot, Yogurt Maker.